For a few weeks in a row, we’ve been launching new features to help developers and marketers carry out better Keyword Research on App Store and Google Play, understand the effect of the keywords rankings on app downloads, and use this information to optimize keywords more efficiently. 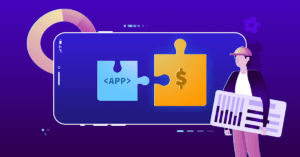 We launched various tools to help developers with App Store Optimization: Keyword Suggest, Keyword Density, and Installs per Keyword for Android apps. However, at this point we think it might be useful to sum up all the information about keyword that you can find in TheTool. In this post we will talk about the main steps of keyword research for ASO and how TheTool can help you with it; what data to pay attention to when selecting the best keywords, how to understand if you have optimized your product page correctly to target certain search terms, and how to track and monitor the results of the optimization. To illustrate the process of Keyword Research and Optimization for apps, we will use the Keyword Optimization Cycle model created by our friend Pablo Penny from Phiture. Research – coming up with a list of all possible keywords and keyword combinations related to your project. Prioritize – analyzing and prioritizing the keywords according to their relevance, competition level and search volume / traffic. Target – optimizing app listing targeting the selected keywords. Measure – tracking search rankings and analyzing the possibilities of improvement. In this post we will guide you step-by-step through the whole process of keyword research and help you understand the steps that need to be done in order to improve visibility in search, thus leading to more organic traffic and less acquisition costs. A thorough keyword research is an essential element of ASO and Search visibility optimization. This is the first step to take before launching the app on the store, and the first action to take when your mobile app downloads are not reaching the volumes you expect. As a first approach to your research, try to brainstorm all the possible keywords that can be related to your mobile app and game. The ideas can be taken from its nature, the category it belongs to, what tasks it performs or what problems does it solve. It is always a good idea to search for inspiration from similar apps (and competitors) and look into user reviews to get the keywords and keyword combinations used there. Who will need and therefore, search for your app or game? What tasks do your potential users need help with? Where will they be searching for your app from? What kind of demand your competitors might be overlooking? Having these answers will help you put yourself on a place of the potential users who will be searching the app stores. Try to understand their demand (WHAT do they need), location (WHERE do they need it), take into account timing (WHEN do they want it), and WHY would your app be the best choice for them. Write down all the keywords and combinations of keywords that you came up with, and continue with the research. The perfect place to find inspiration on the keywords for your app or game are your direct ASO competitors. In order to get a list of keywords used by your competitor (or any other app on the app stores), use Keyword Density feature in TheTool. This powerful instrument allows you to view all the keywords used in the product page of any app on the App Store or Google Play. Pay attention to the keywords used in the fields that have a lot of weight in rankings (App Name / Title, Subtitle or Short Description) and the keyword combinations (long-tail keywords) that are repeated several times in Description. Add all the keywords that you find relevant to your list, in order to analyze and prioritize them during the next steps. By now you should already have a long list of keywords and keyword combinations (at least 60-80 possible search terms) related to your app or game. You can then expand your list even further, by looking for suggestions for keywords on your list. 💡Tip: Already tracking your app in TheTool? Then go through this process and add relevant competitor app and some more competitors during the next steps, and receive the suggestions! 💡Tip: Found suggestions using some other tool? Or want to copy the keywords from one of your own apps where you have already added the keywords? Click “IMPORT KEYWORDS” to upload them from another country you track, another app or simply from CSV. Now that you have a full list of possible keywords for your mobile app, you need to analyze and prioritize the search terms in order to optimize your app for maximum visibility in Search. In order to understand if a certain search term is worth targeting, analyze its traffic and difficulty scores. Difficulty score indicates the level of competition for this keyword (the higher the difficulty – the harder to rank for it), and Traffic provides an estimates search volume of the keyword. Aim to find a perfect balance between low difficulty and high traffic – and don’t make a mistake of trying to target high-volume generic keywords – search for long-tail keyword combinations instead! Tracking and benchmarking with your competitors is not only useful for finding new keywords to use. Monitoring keyword rankings of your competitors can help you identify the possible niche and rank for the keywords that your competition might be overlooking. Installs per Keyword feature in TheTool permits viewing the exact data from Google Play Console and can help you understand which keywords or keyword combinations are bringing the installs, have best conversion and longest retention. Based on this data, you can prioritize the keywords that are performing well for your app or game. For iOS apps on the App Store there is a similar way to find out which keywords are the most interesting ones to target. If you are using Apple Search Ads, you can compare Conversion Rate and Search Volume on different keywords in order to make a decision which of them might be the most relevant and interesting for your app. Using very generic and high-volume keywords. In terms of visibility on the stores, it is better to rank in the top positions for low-traffic keywords than to rank in top 100-150 for a high-traffic keywords. The users who search for high-volume keywords won’t have a chance to discover your app if it’s not ranked in the top positions. Not using enough combinations. Over 75% of your product page views account for long-tail keywords – so instead of struggling to rank for high-volume keywords, extend the number of long-tail keyword combinations to use in your textual elements. Targeting too little keywords. According to this study, top apps, on average, rank for A LOT of keywords. (iOS apps: 65-110 keywords; Android apps: 60-105 keywords). Target as many keywords as possible! You have collected an extensive list of keywords and determined which ones you would like your app to rank for in order to get installs. What’s next? Now it is time to edit and optimize your textual on-metadata – the fields responsible for search rankings on the app stores. Use your most important keywords in your App Name / Title, Subtitle or Short Description and Keywords Field, and make sure you include the rest of the search terms and keyword combinations in your Description. 💡Tip: You can use Keyword Density tool here again to check if your textual elements before submitting a new version of the app to the store. 💡Tip: For App Store, don’t repeat the keywords that you have already use in the fields that have the strongest weight in search rankings algorithms. If you have already used the keywords in App Name, don’t use them in Subtitle or Keywords field. These fields have limited space, so use it wisely and add as many different keywords as possible. When the keywords are identified, analyzed, prioritized and optimized within the product page, it is time to track and gain insight from the results. Remember that Keyword Optimization is a cycle, so Tracking is not the last step in your journey. Tracking your keyword rankings and benchmarking them with your competition can help you understand if there is any room for optimization, help evaluate the user acquisition strategy and understand the impact of your visibility in search on app downloads. 💡Tip: Don’t tweak your text on-metadata too often, this won’t help your app rank better. The best is to give the app stores some time (3-4 weeks) to process the changes in your app listing and fix your keyword rankings. Avoid drastic changes, too – you don’t need to rewrite completely your description – just play with the density of the keywords that you want to target. Brainstorm to identify the initial list of search terms. Look for inspiration and study the keywords of competition. Find suggested keywords and keyword combinations. Analyse and prioritize keywords based on their traffic and difficulty scores, relevance, and performance in terms of installs and conversion rate. Optimize the textual elements of your app listing and check the density to see if there is a room for more optimization. Track your keywords and benchmark with competitors to gain valuable insights. How do you do Keyword Research for your apps? Tell us in the comments. Sharing is caring – if you like the content, share it with your friends and colleagues!